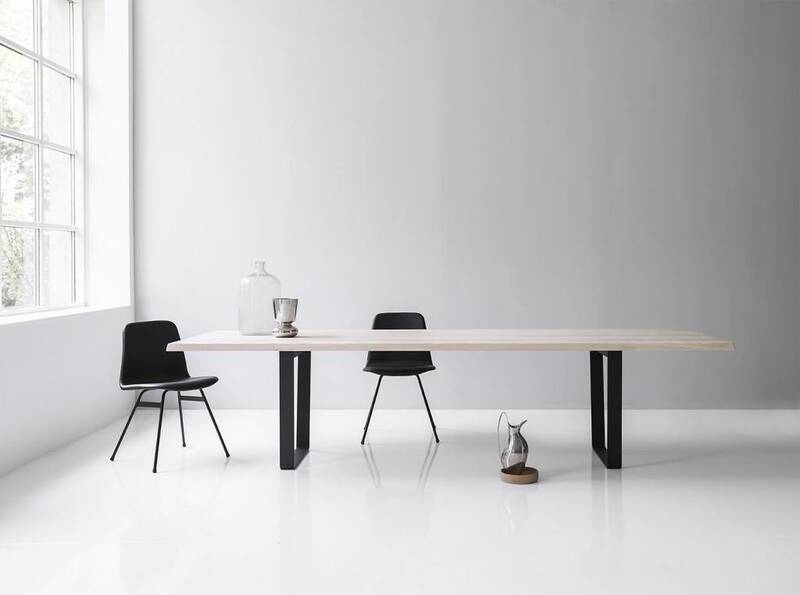 Lowlight is a dining table with an unique character. 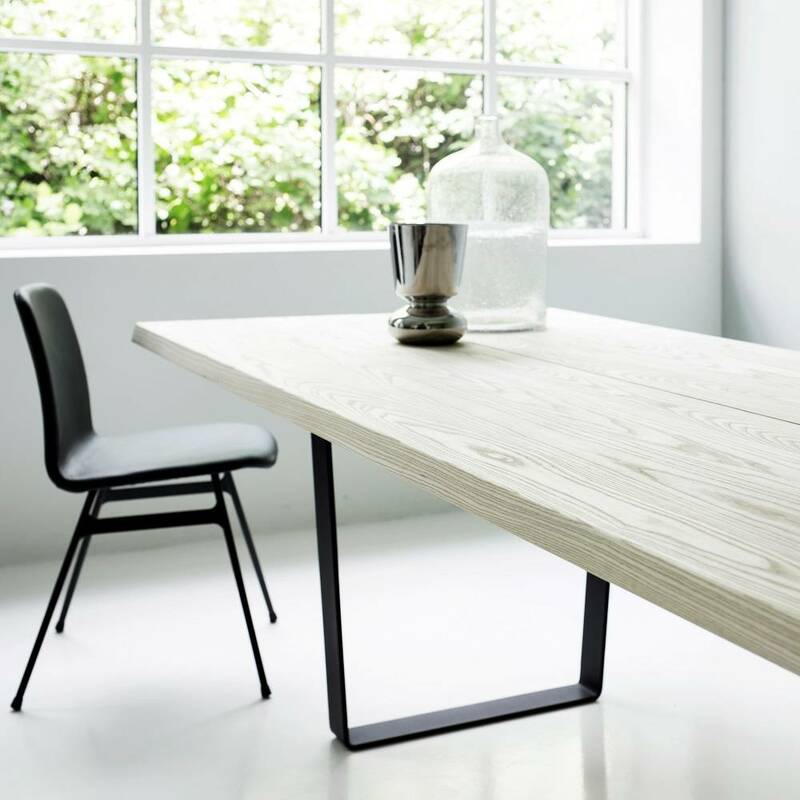 The open gently sloping base provides a soft contrast for the solid wood table top. The tabletop is designed with a new rounded edge profile with light slope matching the base. Lowlight table's base, which is available in black powder coated steel, creates stability and ensures perfect seating to the table. The table top is 4 cm thick and comes in two pieces. Finished with either a soap, oil or whiteoil treatment or as a new alternative, grey oil (only used on wild oak) that provides a beautiful and user friendly surface that matches the modern shape. 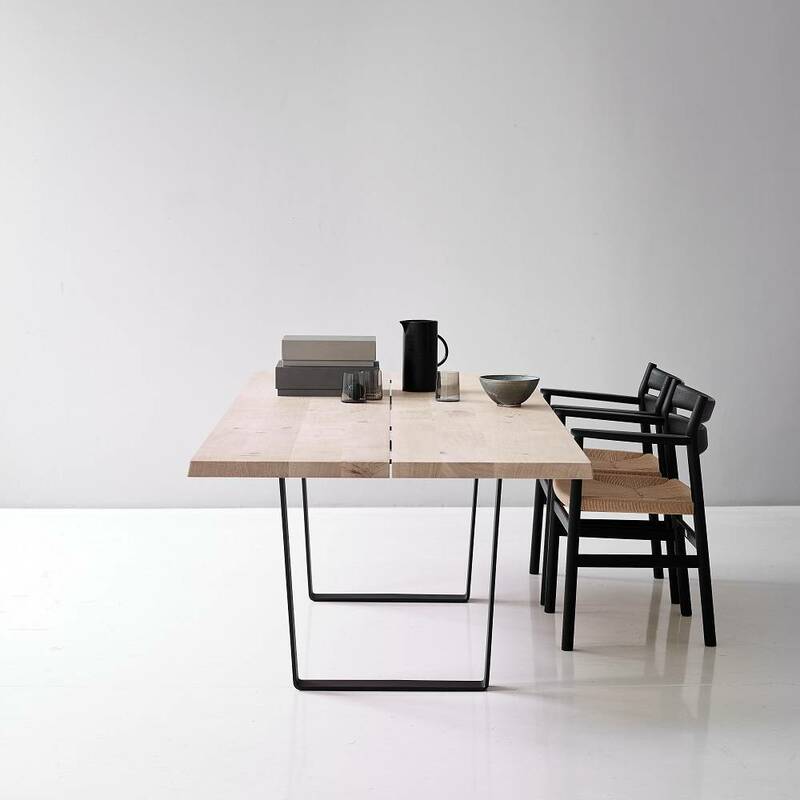 The table can be expanded at any time with extension tops. Standard wood choice is wild oak. "Wild oak" is oak with knots and small cracks that is closed with so called “plast-kleber”. Lowlight is also available in oak and walnut, with an upcharge. To see the wood samples and the effect of the protective layer, look here. Watch this video for a short instruction on how to mount an extention top.